There's no need to stock up on bottled water when you have a WaterCare® reverse osmosis (RO) drinking water system. Whether you're getting a glass to drink, filling a pot for cooking, or rinsing fresh vegetables, you can expect quality, nourishing water for your family. 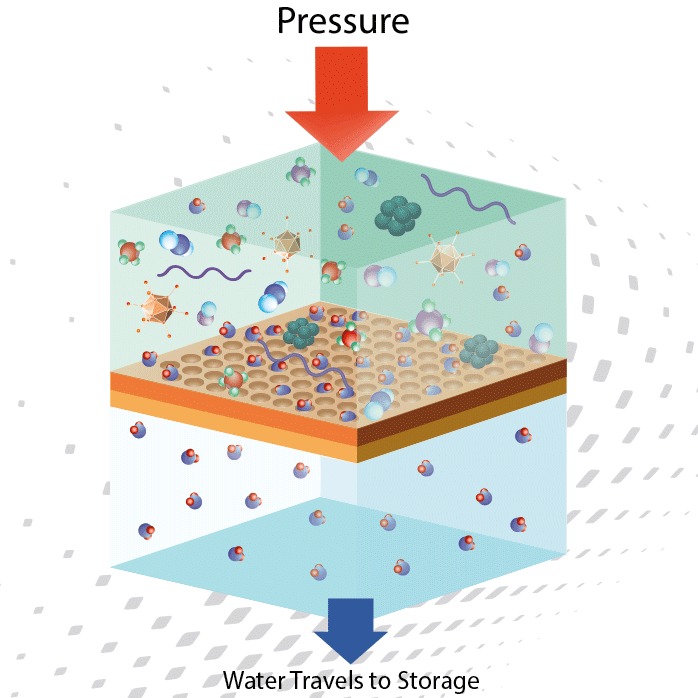 These systems use a series of highly effective filters that reduce unwanted impurities from your water. Your water will taste fresher, smell better, look more appealing, and ultimately, it will be healthier for you! WaterCare® drinking water systems are the convenient, affordable, and environmentally friendly solution to better water. It's the quality of water that nature had intended for your family! Enjoy healthy water conveniently and affordably with UltroWater®. 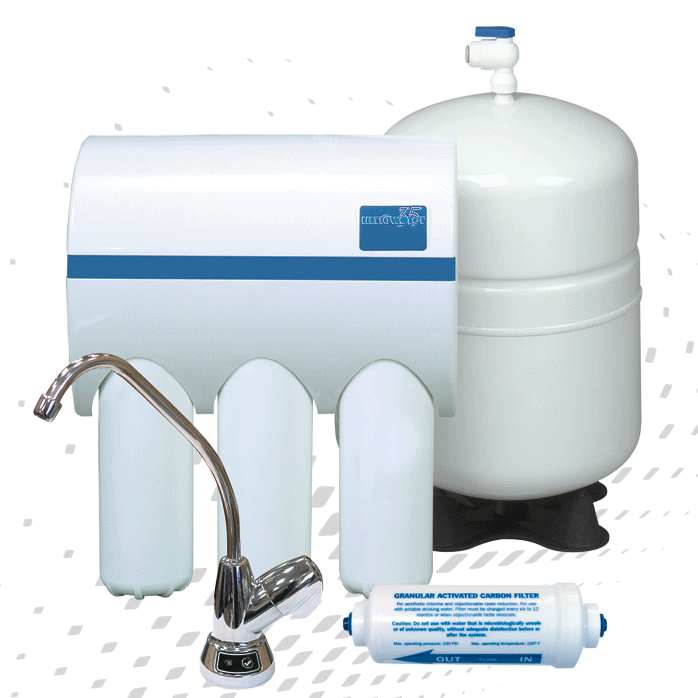 Not only are the UltroWater® systems NSF/ANSI Standard 58 certified for reducing impurities, such as lead, arsenic, copper, cyst, chromium, and more, but they will also help improve the smell, taste, and appearance of your drinking water. 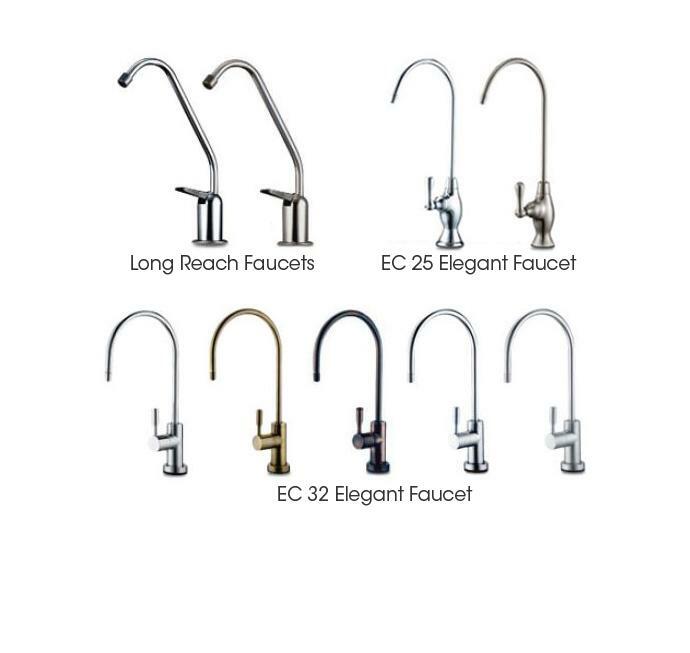 Additionally, these systems are designed with the homeowner in mind, with easy to change cartridges as well as an array of faucet design options to perfectly match your kitchen. Remove impurities and add peace of mind to your drinking water! When you have a WaterCare® ClearFlo® RO drinking water system, there's no reason to be concerned about the quality of your drinking water. These systems deliver up to 100 gallons per day. So, every time you turn on the faucet, you're assured healthier, fresher water for your family. 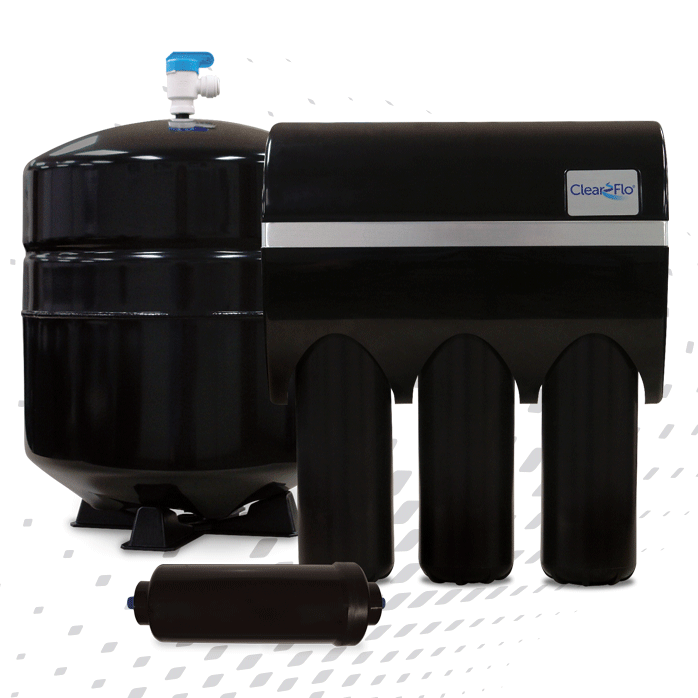 Through multi-stage filtration, our UltroWater® and Clear Flo® reverse osmosis drinking water systems reduce impurities and other contaminants from your water.